It's "contest" week over at the Mojo Monday Sketch Challenge blog! I still haven't been able to get into my mini-studio to craft in the evenings, but I didn't want to miss out on the random drawing so I whipped up a digi card on my laptop while the boys played outside (I swear a digi card can take longer to create than a regular card!). 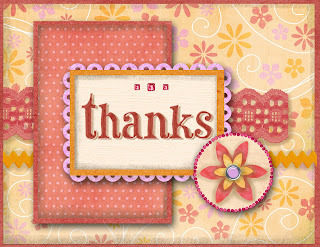 My submission is a simple "Thanks" card and I'm really curious to see how it would print out. 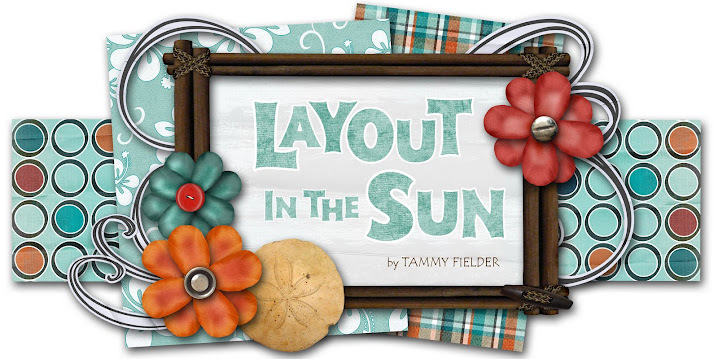 I used papers and elements by Traci Reed (Sweet Shoppe Designs), and I keep learning a ton about how to use PSE6! I still need to figure out how to make a "tear" for torn paper and how to make a distressed edge for that popular grunge look. I'm guessing there is a "brush" for that and I'm guessing I would have to purchase and download it from somewhere. I haven't been been able to find anything like it in the existing brushes and tools. Anyway, I promise to get back into making "real" cards soon! I really miss the hands-on experience! I have plans to meet friends at "scrappy hour" at Green Tangerines twice this month, and I intend to make several "real" cards then. I hope you enjoy my digi card! Wow, this is beautiful! I've never even thought about digi-cards before, but yours is fantastic! Love the colors you chose.